It was disappointing that the Kilmallie game was postponed due to terrible weather making the ferries go off. The club have had a three week lay-off since the Skye game, after Lochaber away was also postponed due to their cup commitments. Thankfully, we finally have a game, and a game at home against Caberfeidh. Cabers games are always entertaining and enjoyable. 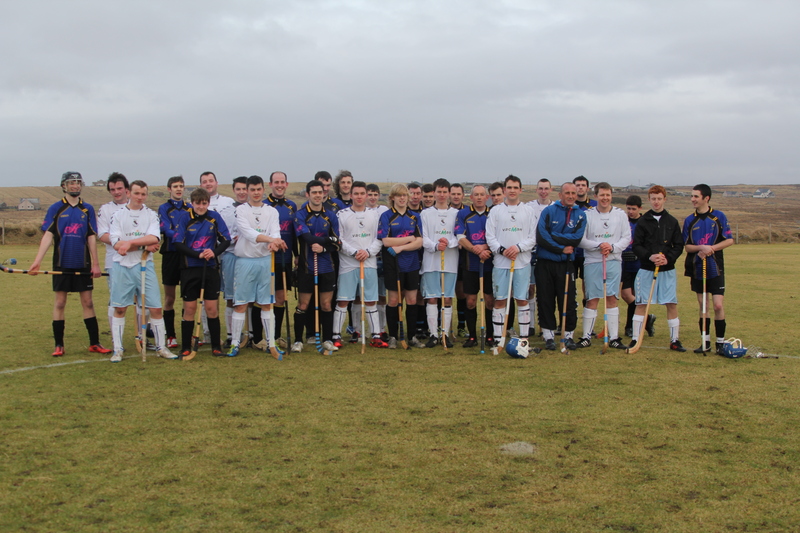 A great shinty club with a generous spirit, we look forward to welcoming them to Shawbost yet again. Make sure you head along and support the boys this Saturday. Throw-up is at 2.30pm. Training is every Wednesday with Crawford. 6.30pm. Apologies to the man himself. Well done Paddy Diablo on picking up an end of season prize from Glasgow Uni Shinty Club – we won’t tell you what the title was – but here’s a photo of a younger IP Sinclair picking up a prize! The first home game of the season – give or take a friendly or two held in February – is always an event which attracts a large crowd. The introduction of the return ferry to Uig from Tarbert on a Saturday means that teams can make the long trip to Shawbost in a day. Until Calmac get it sorted and it is possible to visit Lewis via Ullapool for more than an hour on a Saturday, it looks like that is the way teams will have to go but it is always an exciting time of the year after the long slog of away games from March to May. In this article we will look at the various fixtures that have opened the summer season. 2011 was of course the first ever senior game of shinty played in Lewis under the auspices of the Camanachd Association. This game was held fittingly against Lochbroom and a crowd of up to 300 was in evidence on a beautiful sunny day at Shawbost. Unfortunately, a snafu with the goals, and various other teething problems left much of the team running round trying to get things done, and Lochbroom came out 7-1 winners. However, Scott Murray’s goal was greeted with a great roar. The sense of occasion probably got to the boys. 2012 saw Strathspey visiting and a poor performance, including a missed penalty saw us concede the points to the then new team on the block, gifting them their first ever league win 2-1. 2013 was a rollicking game against Caberfeidh, where we almost grabbed a draw against Caberfeidh, but the Strathpeffer team won 4-3 to cancel out goals by Will, Duncan and (no way!) Michael MacLeod. 2014 was supposed to see the club go head to head with Strathspey again, but for some reason, the Grantown side had agreed to the CA giving them a fixture before the change of timetable, necessitating an over night stay. The demands of this plus squad availability problems led to an unfortunate walkover to the Dubh is Gorm. So, the next game wasn’t until two weeks later against Cabers, a poor Lewis performance after a lay-off, resulting in a 5-1 defeat, with only a Duncan goal to brighten the mood. So the start of the home season has always been a mixed bag, but hopefully this week will see a good performance against Kilmallie and also a big crowd – home games last year seemed to coincide with out fail with miserable weather – but as they say there is no such thing as bad weather, just bad clothing. So come prepared. There is also a soup and sandwiches events in Ionad na Seann Sgoil beforehand for anyone travelling over to watch. The game will also mark Paul Duke’s hundredth game for the club, the first person to do so.. There is plenty that has been said about Paul’s contribution to the club in other articles, but this is still an incredible achievement. 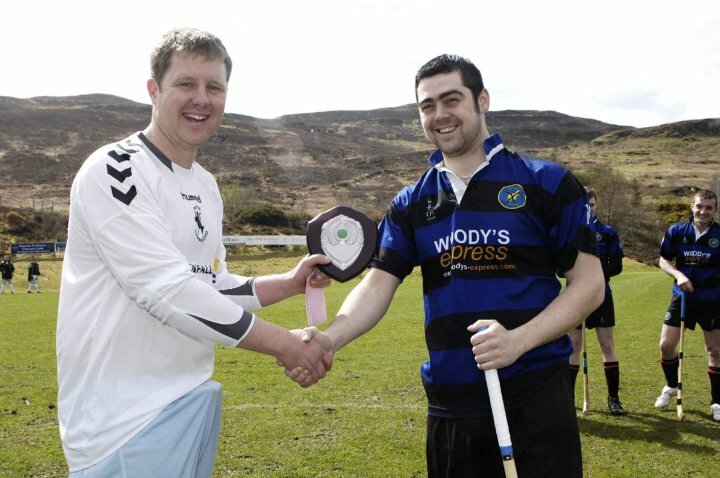 We’d also like to thank Skye Camanachd for their hospitality last week in Portree – a class act of a club and a team. Best of luck to them as well as they mark Festerburt with Kingussie and the SCOTS this weekend. 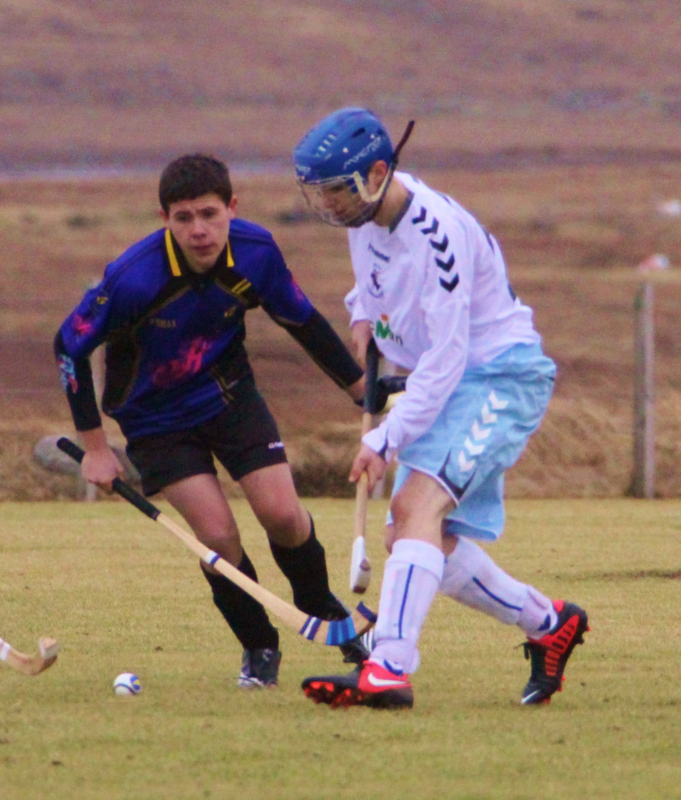 Camanachd Leòdhais take advantage of the ferry from Stornoway to Skye this Saturday as we face Skye Camanachd for only the second time in a competitive fixture, and the first time ever on league duty. Camanachd Leòdhais and Skye Camanachd have a strong bond. 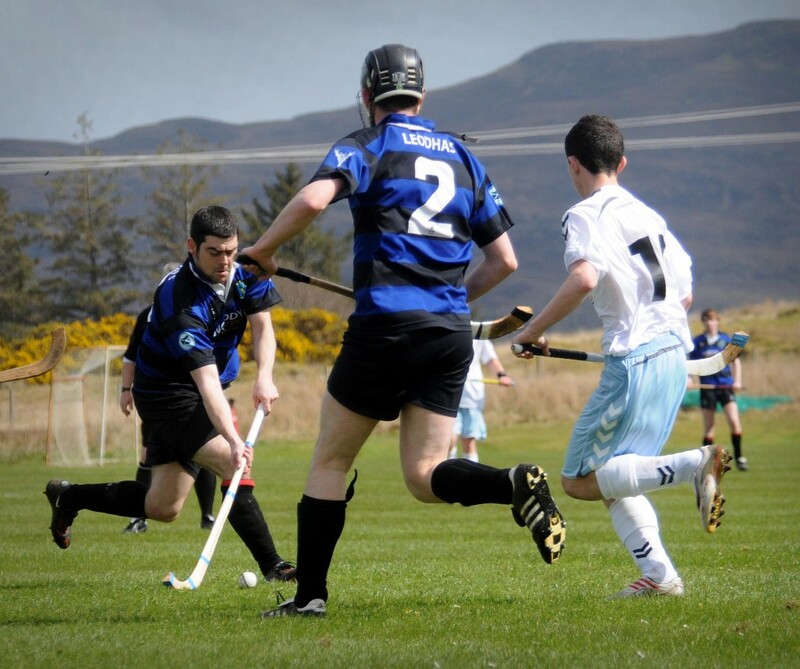 Both are island clubs, a couple of players have worn both the Dubh is Gorm of Lewis and the White of Skye, but one club has a long and glittering history, whilst the other is one of the sport’s newest teams. Skye won the first MacTavish Cup, lifted the Scottish Cup famously in 1990 and have thriving youth and ladies sections. In Lewis, we can look at solitary Mòd Cup success and youth and ladies sections which are only just getting going. Both however, have been frequent recipients of the Fairplay award from Marine Harvest. Surely a tribute to Hebridean manners! In 2010, both clubs were drawn together in the Strathdearn Cup. 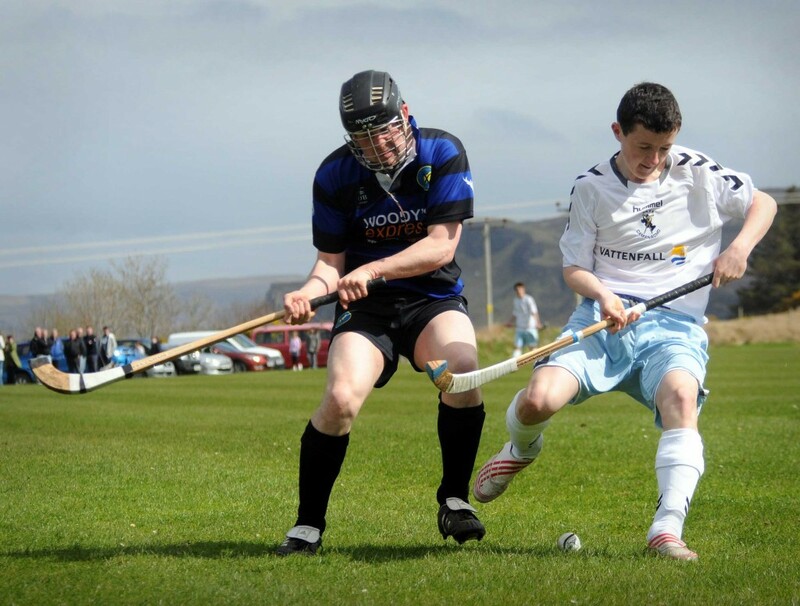 This was a watershed moment for Camanachd Leòdhais, an embarrassment which pushed the club to applying for league status despite all the obstacles that were in their way. There was excitement about this historic match up. Lewis even gave up “home” advantage at Inverlael for the game on the first of May, but hospitality off the park, which included a warm welcome in the Pàirc nan Laoch clubhouse and a plaque marking the first ever meeting of the two teams, was not matched on it as what was, at the time, a struggling Skye reserve team brutally despatched Lewis 18-nil. A result which would live in infamy but also become the catalyst for all that has followed. 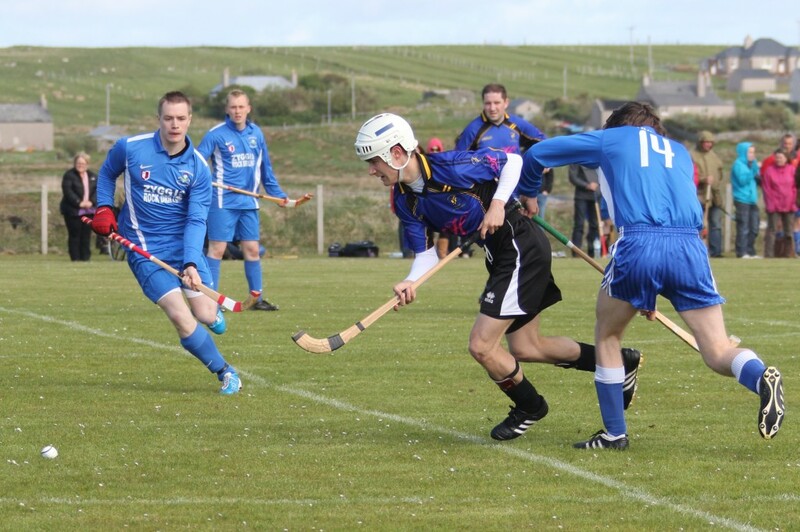 Skye Camanachd stood shoulder to shoulder with Lewis during our application to the North leagues, publicising our campaign via their website, which continues to be the premier source for shinty news on-line. The Skye club had faced similar “arguments” against them when they had applied to enter competitions in the 1880s and 90s but always a forward looking club, they were committed to supporting their island neighbours, for which the Lewis club will always be grateful. 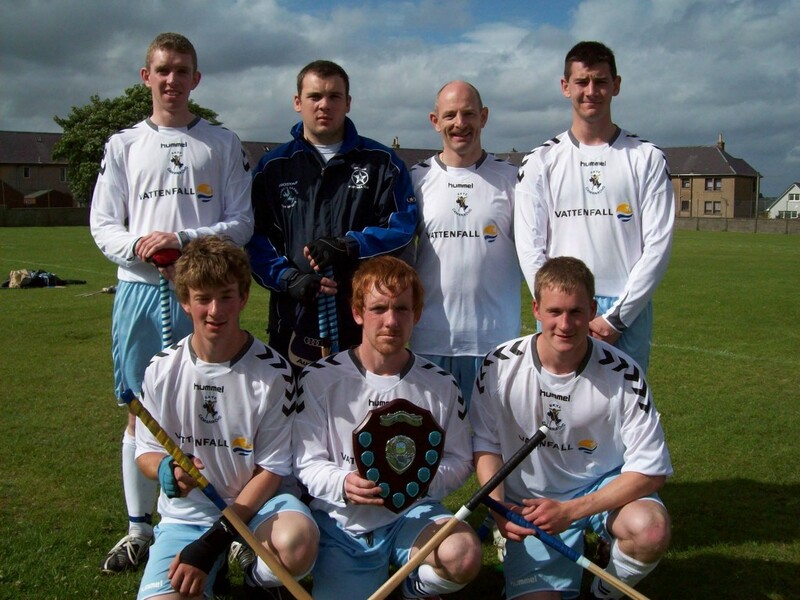 They also supported the first ever Craig Morrison Sixes in 2010, sending two teams and taking the trophy back to Portree. This wonderful day which was a great tribute to Craig who had passed away almost exactly a year before, also saw Lewis gain great confidence as the Lewis A team were beating Skye 1-0 thanks to a Paul Duke goal until a late Alan Palmer strike saved the Skyemen’s blushes. Coming hot on the heels of the 18-nil drubbing it was a heartening result. Skye have braved the Minch (and Stornoway pubs) in February on two occasions for pre-season friendlies, in 2012 and 2013. 10-2 (Ruairidh Urpeth and Kevin Kennedy scoring) and 7-2 (Will Church and Duncan MacIntyre) were the scores in favour of the Sgitheanaich, but both games showed that after only a couple of season, whilst a gulf in class remained, Lewis were at least able to hold their own. It will undoubtedly be a challenging fixture against a Skye Reserve side who look set to sweep North Division Two before them, but we can be assured that five years on from that dark May day, a lot of water has flowed through the Minch and that we can give a much better account of ourselves in the Misty Isle. Skye are a great model for any club to follow and we hope that we can make strides towards where they are in the coming years. We also look forward to Skye coming for the return fixture at Shawbost on the fourth of July.